The report segments the global RTB market by auction type, ad format, application, device, and regions. The application segment includes media and entertainment, games, retail and eCommerce, travel and luxury, mobile apps, and others (telecom, real estate, education, BFSI, music, social, and politics). The auction type segment comprises open auction and invited auction. The RTB market by ad format has been segmented into RTB Image and RTB Video. The market based on devices is divided into mobiles, desktops, and others (laptops, and tablets). The report covers the RTB market in 5 major regions: North America, Europe, APAC, Middle East and Africa (MEA), and Latin America. The report segments the market into various subsegments, hence it covers the market comprehensively. It provides the closest approximations of the revenue numbers for the overall market and its subsegments. The market numbers are further split across applications and regions. It helps in understanding the overall growth of the market. 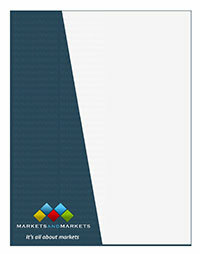 It also provides information about key market drivers, restraints, challenges, and opportunities. It helps stakeholders in understanding their competitors better and gaining more insights to strengthen their positions in the market. The study also presents the positioning of the key players based on their product offerings and business strategies.